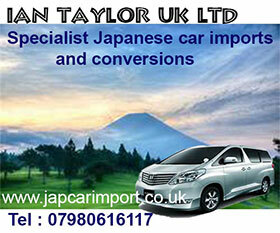 This page is co-sponsored by Lifesure, specialist Mazda Bongo insurers with over 40 years experience. 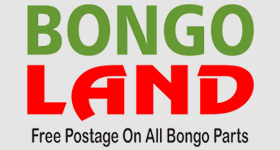 Up to 20% discount available for Bongo Fury members (dependant on circumstance). Click here or phone 01480-504154 for a hard-to-beat quote. This page is co-sponsored by 2Gether. We are specialists in grey-imports & campervans.Quote your Bongo Fury membership number for up to 25% discount. Unbeatable Camper Conversion Rates. All Bongos, Fredas and any Import welcome. One of the common misconceptions about owning a Bongo (or any grey import) is that motor insurance is almost impossible to get hold of. This may have been true once upon a time, but is now no longer the case, although many of the major insurance companies still refuse to insure “grey imports”. For instance, if you use one of the price comparison websites you will find that “Mazda Bongo” does not always appear on the drop-down lists of vehicles. Having said that, some members have ended up insuring their vehicles with firms such as Direct Line, Aviva and Highway by using price comparison sites. It all depends who ends up processing your enquiry. Motor Insurance of any description depends on your personal circumstances. Is your postcode in a “safe” area? How long have you held your licence? Do you have any points on your licence? Is your vehicle parked on the street or is it garaged? Do you want to nominate a second driver? Will you use it on business? If you have had kitchen units installed, then only firms who deal with Motorhomes will insure your vehicles. And if you have done the conversion yourself, then you will need a specialist insurer. Specialist insurers can be found on the Self-Build Motorcaravanners site here. Generally speaking, if you live in a safe-ish area, and are quoted more than £450 fully comprehensive for insuring your Bongo, then shop elsewhere. You should also check exactly what you are insuring. Some firms will insure your Bongo, but when it comes to making a claim if your vehicle is stolen will pay out the current market value of the base vehicle only. The following companies have been recommended by our members. We are always interested in hearing from others. You don’t have to use a UK based insurer, especially if you live elsewhere in the EU. Not at the moment anyway! 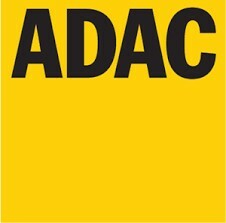 German based ADAC Insurance will cover your Bongo, either as a motorhome or as a car. The Bongomaster himself uses this firm. They are not the cheapest, but have an excellent reputation for customer service. Very good rates if you have an extra vehicle to insure. Caravanwise offer insurance for DIY Mazda Bongo Camper Van conversions both while they are being converted, for up to 90 days, and once completed. 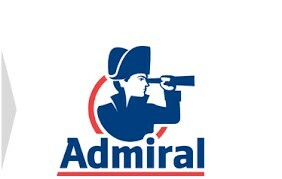 Fully comprehensive insurance including commuting with a maximum annual milage of 12,000 miles is available. TPFT available for lower value campers. Day Vans can be covered at the same rate as campervans excluding commuting. “I couldn’t recommend this lot highly enough, very impressed with them indeed – worth paying a few pounds extra c £20 for their professionalism & courtesy ” Will not insure converted Bongos. Will only insure Bongos with a maximum of 7 seats. “Various schemes for covering your Bongo, especially for travellers with wanderlust, and it normally doesn’t matter what motorhome modifications have been made, where the owner came from or where in Europe they are travelling.” For a fee, will provide agreed value insurance.